The weather is great, the greens look great, and the Masters have been on television – people are excited about golf! Whether your business is attending a bit golf themed event or you simply want to appeal to all the golfers that visit your business, handing out golf swag is a great way to promote your business. 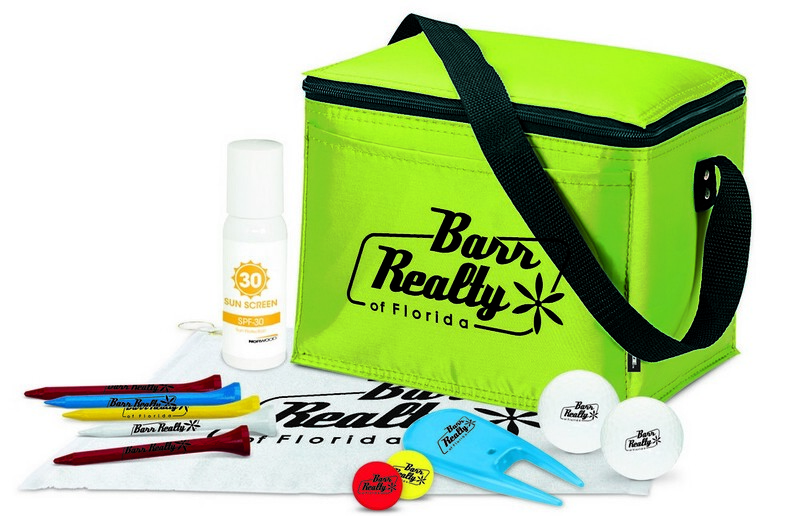 You’ll want to choose items that will get your company remember, so here are a few great custom golf products to consider handing out to score promotional par with current and prospective customers. Golf balls and tees are both important tools for golfing, and every golfer needs to have them on hand when they head to the golf course. If you need to keep costs down, go with a two-ball pack that incorporates your company logo. If you’re willing to invest a bit more, golf ball sets are a promotional product that golfers will love. 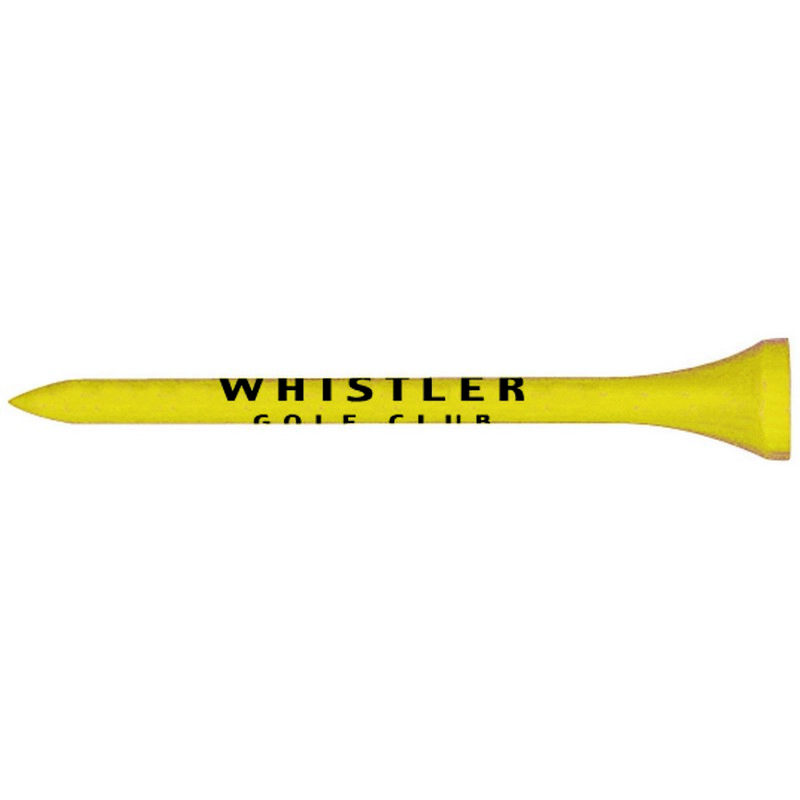 Golf tees are affordable, and you can buy them individually or buy them in packets that show off your business name. Whether you’re heading to a corporate event or you’re handing out golf themed swag to your employees, golf bags make a great promotional gift. While they represent a larger investment, you can be sure that they’ll be used regularly. From stand bags to shoes bags to custom travel show bags, you have many options that range in price. Keeping track of golf bags and other golfing equipment is also essential, and golf tag sets let your customers keep track of their golfing items while keeping your business name in the forefront of their mind. When golfers are out on the greens, having some drinks and snacks along in a cooler is a great idea. Everyone gets a bit thirsty when they’ve already gone through nine holes and there’s still nine to go. Water bottle coolers are a great choice for keeping drinks cold, while lunch bag coolers let golfers carry a bit more out on the fairways. Custom sports bottles also make thoughtful gifts that are visually appealing and functional, offering a great way to carry water along while golfing. Add your logo and business name to the bottle and you have a great custom product that golfers will love using. 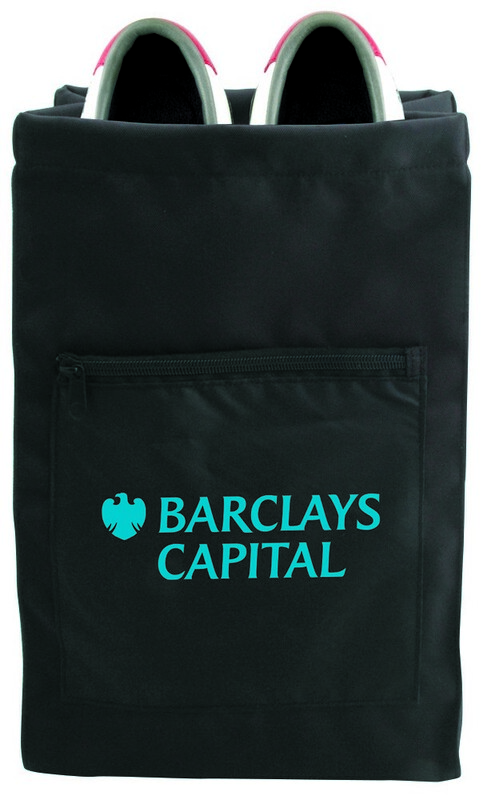 Other great custom golf products include score card holders, golf gloves, golf towels, ditty bags, and golf tools. Go with just one product or choose a couple to allow clients to choose. Buy your custom golf products today and let golf season help you promote your business. National Nurses Week is May 6 through May 12 this year, and the week is all about celebrating everything that nurses do for patients and other medical professionals. It’s the perfect time to celebrate your nursing staff, acknowledging the important contributions they offer your medical facility. If you’re looking for a great way to thank your nurses, here’s a look at some great nurse-themed promotional products nurses are sure to appreciate. Nurses have various items they need to bring with them to work each day, and the Hometown Helpers Nurse Sport Pack offers a great way for nurses to carry along the essentials. The fun design is sure to make the nurses on your staff smile as well. Add your logo to the pack to make sure you’re promoting your business too. 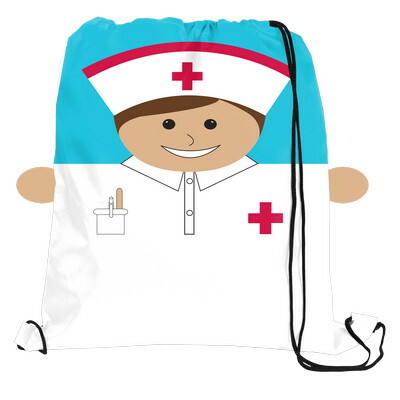 Any nurse will love the fun, attractive Nurse Silicone Mobile Device Pocket that comes with a pre-printed nurse design that shows off their profession. 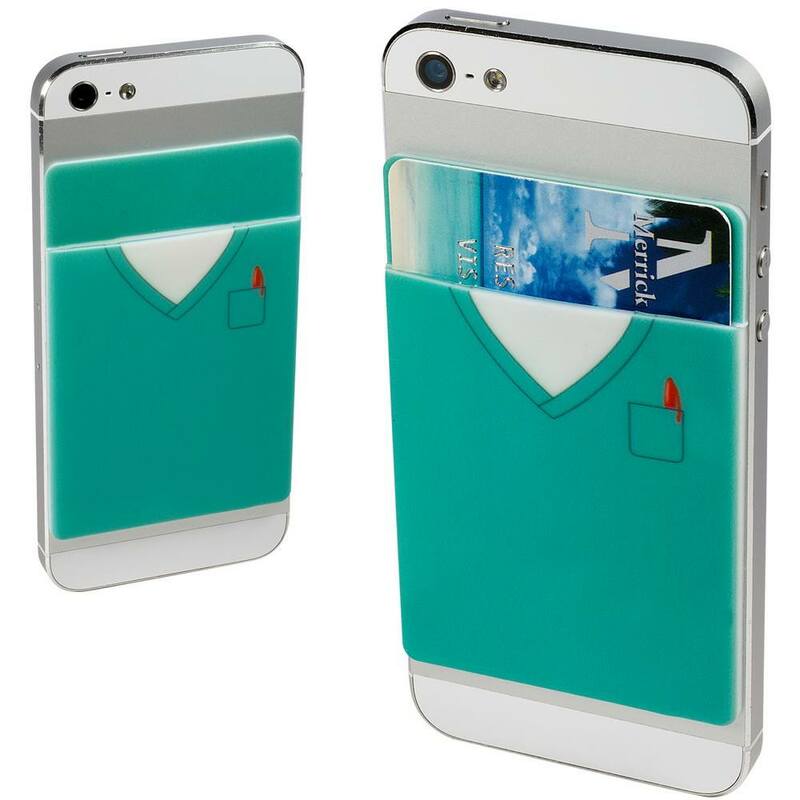 It easily sticks to the back of mobile devices, offering a great way to hold business cards, a driver’s license, credit cards, and more. Since it makes it easy to carry along essentials with a mobile device, it offers extra convenience to nurses, both on and off the job. Nurses deal with plenty of stress on the job, and the Smilin’ Doctor Stress Reliever offers a fun way for nurses to relieve a bit of that stress. These stress relievers are squishy and soft, and they come in female and male models, so you can order some of both so your nurses can take their pick. 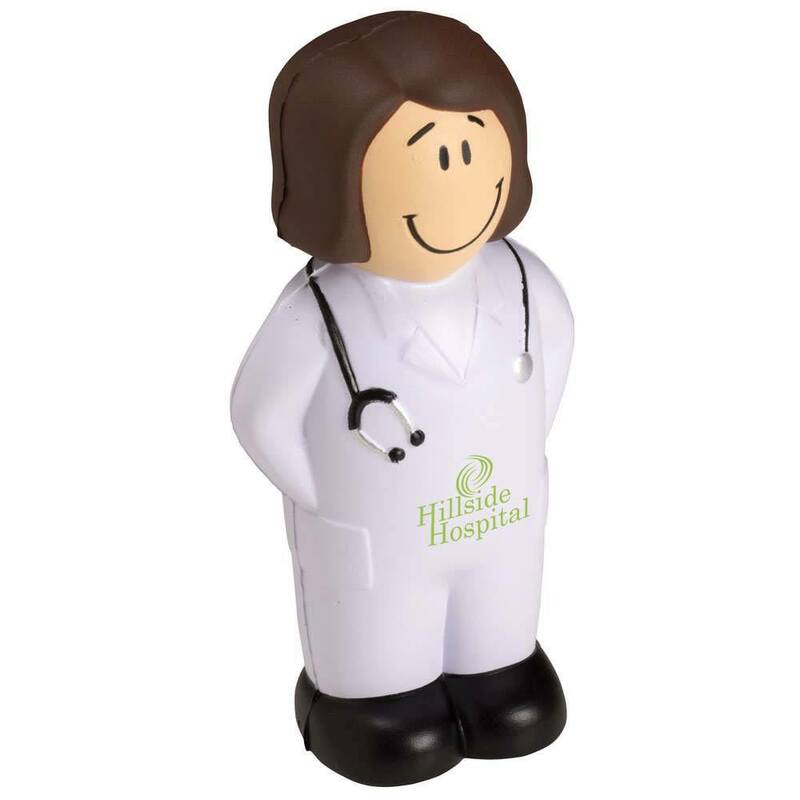 Add your logo or facility name to the stress relievers to help promote your medical practice or facility while giving nurses something fun they can use to relieve just a little stress throughout their busy days. 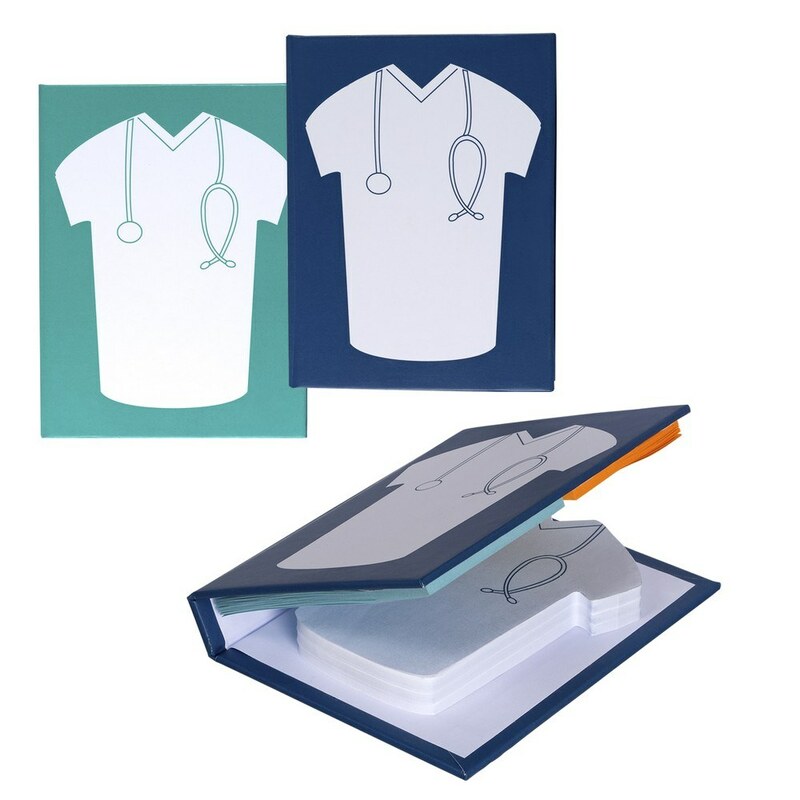 Most nurses spend a lot of time trying to stay organized and writing notes, making the Medical Scrub Sticky Book a great promotional product to give your nurses in appreciation for all their hard work. The scrub design is perfect for a nurse, and it’s small enough to easily carry around in scrub pockets. Don’t let your nurses go unappreciated during Nurses Week. Have fun saying “thanks” with one of these great promotional products. Make your order today to make sure you get your promotional products in time for the special week.